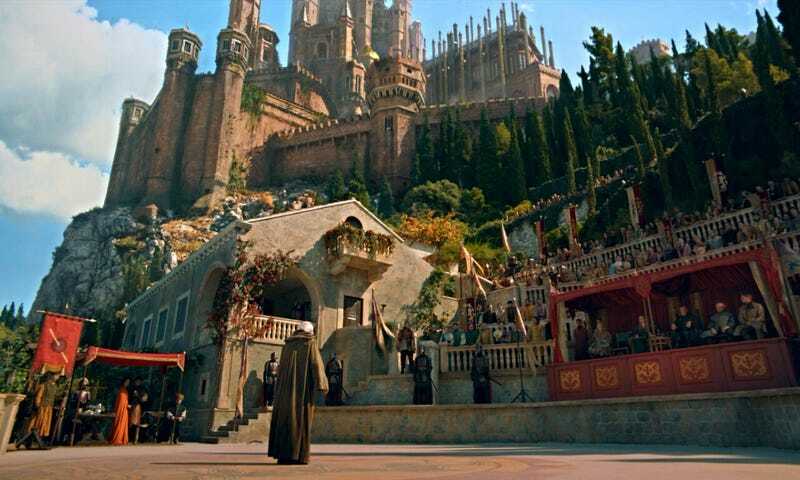 "The Mountain and the Viper". Unsullied Eyes is a discussion space for Game of Thrones viewers who have not read the books. Be warned that there are spoilers for the latest Game of Thrones episode after the jump. The purpose of this discussion space is so that we can talk about the show as is. Book readers are welcome, but please refrain from making comparisons, hints, or spoilers. Why does this happen to everyone I like?!?!?!???? *Granted, some book jerks I know have already spoiled it by hinting at it like "Oh you know what GRR Martin does to fan favorites, wink wink." Asswipes. And I see that Sansa's getting better at playing "The Game". **Also, I feel so happy for Ramsay Bolton. He worked so hard for his father to recognize him. I'm truly happy that there is at least one decent, rational man in Westeros: Roose Bolton.